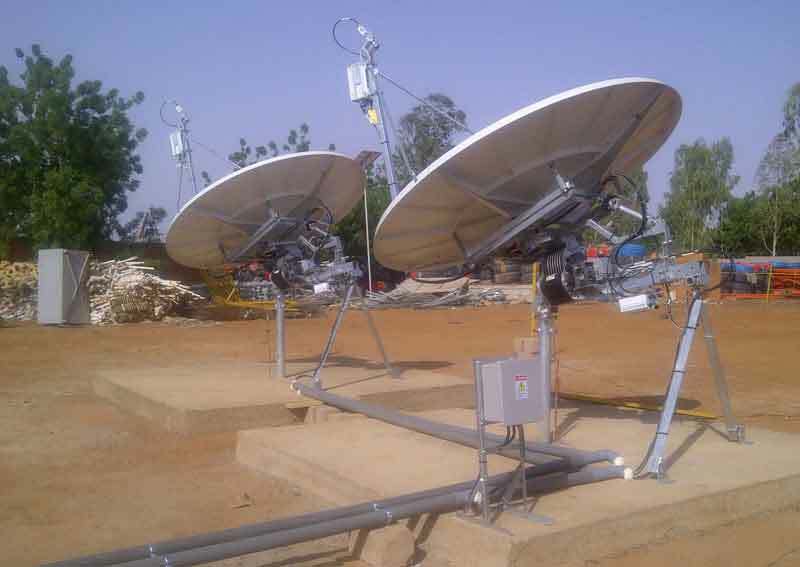 Satellite Internet forum › Satellite Connection in Africa › O3B experience ? I believe they are launching in a few days only, and will take months , may be end 2014 for full implementation across all the continents. I suggest you download and save this. Customer antennas: 1.2/2.2m for maritime mobile, 1.8, 2.4, 4.5, 7.3m at land sites. Example pair of O3b tracking antennas. All antennas in pairs for continuous 24 hr service; all tracking all the time and switch over as satellites set and rise. 4 - 8 - 16 satellites above the equator. Orbit period 287 minutes, height 8063 km. See example O3b spot beams. Remember that the satellites are circling the earth and sites need two spot beams aimed at the site, one from each of the current and next satellites prior to switchover. The key selling point is low latency�due the shorter path length compared with GEO orbit. Can any o3b customer share his/her experience of the service?